For other uses, see Eglin. Eglin is an Air Force Materiel Command (AFMC) base serving as the focal point for all Air Force armaments. Eglin is responsible for the development, acquisition, testing, deployment and sustainment of all air-delivered non-nuclear weapons. The base plans, directs, and conducts test and evaluation of U.S. and allied air armament, navigation and guidance systems, and command and control systems. Severe-weather testing of aircraft and other equipment is carried out here at the McKinley Climatic Laboratory. The residential portion of the base is a census-designated place; its population was 8,082 at the 2000 census. Eglin Air Force Base has 2,359 military family housing units. Unmarried junior enlisted members generally live in one of Eglin’s seven dormitories located near the dining hall, chapel, base gym, enlisted club, and bus lines on base. Each individual unit generally handles dormitory assignments. Bachelor officer quarters are not available. Several units and one dormitory were being renovated in 2011. The base covers 463,128 acres (1,874.2 km² / 723.6 sqm). Eglin is also one of the few military air bases in the U.S. to have scheduled passenger airline service as the Destin–Fort Walton Beach Airport (VPS) is co-located on the base property. The 33d FW "Nomads" is the largest tenant unit at Eglin. The 33 FW is a joint graduate flying and maintenance training wing for the F-35 Lightning II, organized under Air Education and Training Command's 19th Air Force. First established as the 33d Pursuit Group, the wing’s contribution to tactical airpower during its 50-year history has been significant with participation in campaigns around the world, while flying various fighter aircraft. Reactivated at Eglin on 1 April 1965 with F-4C Phantom IIs, the wing operated, successively, F-4D and E models into the 1970s before transitioning to the F-15 Eagle. As of 1 October 2009, the 33d FW transitioned to a training wing for the new F-35 Joint Strike Fighter (JSF). The final F-15s assigned to the 33d departed the base in September 2009. As the first of its kind in the Department of Defense, the joint wing is responsible for F-35 JSF pilot and maintainer training for the Air Force, Marine Corps and the Navy. The first of 59 F-35s arrived from Fort Worth, Texas on 14 July 2011. The 58th FS "Mighty Gorillas" are authorized to operate 24 assigned F-35A aircraft, planning and executing a training curriculum in support of Air Force and international partner pilot training requirements. The F-35A is a conventional-takeoff-and-landing low-observable multi-role fighter aircraft, designed with 5th-generation sensors and weapons, and is able to perform air superiority, air interdiction and close air support missions. The F-35A made its first flight on 15 December 2006. The VFA-101 "Grim Reapers" are authorized to operate 15 assigned F-35C aircraft, planning and executing a training curriculum in support of Navy aviator training requirements. The F-35C is a carrier-capable low-observable multi-role fighter aircraft. The F-35C bears structural modifications from the other variants, necessitated by the increased resiliency required for carrier operations. The Armament Directorate, located at Eglin Air Force Base, Fla., is responsible for management of air and ground dominance weapon system programs. Led by the Air Force Program Executive Officer for Weapons, the directorate concurrently reports to the Secretary of the Air Force for Acquisition, Washington, D.C. and the Air Force Life Cycle Management Center, Wright Patterson Air Force Base, Ohio. AFRL/RW develops, demonstrates, and transitions science and technology for air-launched munitions for defeating ground fixed, mobile/relocatable, air and space targets to assure pre-eminence of U.S. air and space forces. The directorate conducts basic research, exploratory development, and advanced development and demonstrations. It also participates in programs focused on technology transfer, dual-use technology and small business development. Tenant units at an Air Force installation are units which have a mission that is significantly different than that of the host unit, and rely heavily upon the host unit for day-to-day operations (sewer, power, security, recreation). Eglin AFB Auxiliary Field No. 6 (Biancur Field) is the site of Camp James E. Rudder and the home of the U.S. Army’s 6th Ranger Training Battalion. The 6th RTB conducts the final phase of the U.S. Army Ranger Course. The entire course is 61 days long and is divided into three phases. Each phase is conducted at different geographical and environmental locations. This unit, which is apparently not a test squadron at all, operates Boeing C-32Bs in discrete missions for the United States Department of State's Foreign Emergency Support Team. The Air Force Operational Test and Evaluation Center stood up Detachment 2 at Eglin to provide realistic operational testing for new and modified weapon systems. Directorate of the Joint Staff, JDAT conducts field analysis of C2 information systems and procedures producing decision-quality data to improve Joint C2 integration and interoperability. The Naval School of Explosive Ordnance Disposal (NAVSCOLEOD) is a Navy-managed command, jointly staffed by Army, Navy, Air Force, and Marine Corps personnel. NAVSCOLEOD opened its new consolidated training facility in April 1999. Much of the base was part of a National Forest until the outbreak of war in Europe when a proving ground for aircraft armament was established at Eglin. The U.S. Forest Service ceded over 340,000 acres of the Choctawhatchee National Forest to the War Department on 18 October 1940. From October 1941 to October 1945, an AAF Fixed Gunnery School operated at the base, supervised by the 75th Flying Training Wing. At its peak during World War II, the base employed more than 1,000 officers, 10,000 enlisted personnel and 4,000 civilians. Selected on 27 April 1975, the installation served as one of four main U.S. Vietnamese Refugee Processing Centers operated by the Interagency Task Force for Indochina Refugees, where base personnel housed and processed more than 10,000 Southeast Asian refugees, the first 374 of which arrived on board a Northwest Orient Boeing 747 on 4 May 1975. In 1978, the USAF Tactical Air Warfare Center assumed responsibility for the USAF Air Ground Operations School. In the same year, the Electronic Warfare Evaluation Program became another one of the USAFTAWC's weapons system evaluation programs, and resulted in the activation of the 4487th Electronic Warfare Aggressor Squadron in 1990. Construction began in 1984 on the Bob Hope Village, the only retirement facility that caters to enlisted military, opening in February 1985. Residents pay below market value for the 256 independent apartments. Col. Bob Gates, Bob Hope's USO pilot, was key in getting the comedian's support for the undertaking, as well as lending his name to the project. He was named an honorary board member of the foundation in 1978 and held benefit concerts for nearly two decades. Work on Auxiliary Field 1 began 27 November 1940. Auxiliary Field 1 is named Wagner Field for Maj. Walter J. Wagner, former commanding officer for the 1st Proving Ground, Eglin Field, who was killed 19 October 1943 in the crash of a Douglas XA-26B, s/n 41-19588, 9 miles east of Eglin Field, Valpariso, FL. Much of the Doolittle Raid and Operation Credible Sport training took place here. The U.S. Navy used the field as an auxiliary facility for pilot training out of Whiting Field for a time, dating from early 1960. A proposal by the National Aeronautics and Space Administration to build a multi-million dollar research installation for testing rocket fuels and components at Field 1 in early 1960 was dropped in mid-February, the chief reason for consideration being abandoned "was the possibility the military would have other uses for the field in the near future." It is also known as Site C-5. Range C-72 extends SE from Wagner Field. Auxiliary Field 2 is named Pierce Field for Lt. Col. George E. Pierce, killed 19 October 1942 while piloting a North American B-25C-1 Mitchell which crashed into the Gulf of Mexico 2 miles (3.2 km) S of Destin, Florida. Joe Baugher cites date of 19 October 1942 for loss. It is also known as Site C-3. Between November 1966 and 1970, it was the site of the 560th Civil Engineering Squadron, also known as the Civil Engineering Field Activities Center, for the training of RED HORSE personnel. Auxiliary Field 3 is named Duke Field for 1st Lt Robert L. Duke, killed in the crash of a Curtiss A-25A-20-CS Shrike near Spencer, Tennessee, on 29 December 1943. He was assigned as Assistant A-3 of Eglin Field. Used as the set for the fictional 918th Bomb Group in the 1949 film Twelve O'Clock High. Field 3 was long-associated with drone operations of the 3200th and 3205th Drone Groups. Aircraft were "sanitized" (stripped of all identification) here for the failed Bay of Pigs Invasion of Cuba. Auxiliary Field 4 is named Peel Field for 2nd Lt. Garland O. Peel Jr., who died in the take-off crash of a Martin B-12AM of the 387th School Squadron, 2 January 1942, when he suffered engine failure. He was a gunnery school instructor at Eglin. Peel Field was utilized for the filming of scenes for the 1944 film Thirty Seconds Over Tokyo. Wartime temporary housing for NCOs located here was razed in the 1960s. In the early 1960s, while in a moribund state, one of the runways was used as an unofficial auto drag strip by local civilians. The ramp of the non-flight-rated facility now serves as a vehicle park for aircraft and armor after being expended as targets on the Eglin ranges. Auxiliary Field 5 is named Piccolo Field for Capt. Anthony D. Piccolo, who died in the crash of a North American AT-6A-NT Texan on 6 October 1942. Piccolo was the commanding officer of the 386th Single Engine Gunnery Training Squadron at Eglin. Today, the area is due north of Field Four and serves as a microwave station. A 60-foot radar antenna was installed here in April 1961. On most base maps, it is identified as Site C-4. Doolittle Raid training was conducted here. Auxiliary Field 6 is named Biancur Field for 1st Lt. Andrew Biancur, a test pilot of the Medium Bombardment Section of the 1st Proving Ground Group, killed 8 January 1944 in the crash of a Northrop YP-61-NO Black Widow at Eglin Field. The U.S. Army Ranger facility Camp Rudder is located here. It is designated Site B-6. The X-43A-LS low-speed demonstrator underwent testing out of Auxiliary Field 6 in November 2003. Auxiliary Field 7 is named Epler Field for Col. Robin E. Epler, deputy commander (Technical) of the Air Proving Ground Command, Eglin Field, Florida, killed 28 January 1944 in the crash of a Douglas A-20G-10-DO Havoc one-mile (1.6 km) NE of Crestview, Florida. It is designated Site B-12. 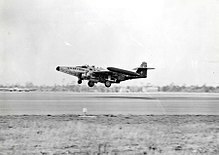 Auxiliary Field 8 is named Baldsiefen Field for 2nd Lt. Richard Edward Baldsiefen, a gunnery instructor at Eglin, killed 4 March 1942 along with Lt. John W. Smith, in the crash of a North American AT-6A-NA Texan which came down at Auxiliary Field 4. It is designated Site C-52C. Auxiliary Field 9 is named Hurlburt Field for Lt. Donald Wilson Hurlburt, killed 1 October 1943 when his Lockheed AT-18-LO Hudson gunnery trainer crashed during take-off at Eglin. After flying Boeing B-17 Flying Fortress combat missions from Great Britain and receiving the Distinguished Flying Cross (DFC), Hurlburt was assigned in mid-1943 to the First Proving Ground Electronics Test Unit at Eglin Field. Field 9 was named in his honor by base commander General Grandison Gardner. Hurlburt's nephew was Captain Craig D. Button (noted for his mysterious flight and crash of an A-10 Thunderbolt on 2 April 1997). An official history of Eglin AFB's early years cites 2 October 1943 as the date of this accident. Auxiliary Field 10 is the western-most of the wartime Eglin airfields, located in Santa Rosa County, and is named Dillon Field for Capt. Barclay H. Dillon, test pilot of the Fighter Section of the 1st Proving Ground Group, killed 2 October 1943 when his Lockheed P-38J-5-LO Lightning crashed 8 miles (13 km) W of Milton, Florida. Field 10 was later named Eglin Dillon Airdrome. Now used primarily for U.S. Navy basic flight training, the Navy refers to it as Choctaw Naval Outlying Field (OLF). It is also used for Unmanned Aerial Vehicle [UAV] training, and it is expected that F-35 Lightning IIs assigned to the 33d Fighter Wing at Eglin Air Force Base will utilize OLF Choctaw for training. Auxiliary Field 11 is an unconfirmed name for a RED HORSE unsurfaced east-west airstrip that shows up on Google Earth in Walton County. Eglin employs more than 8,500 civilians and approximately 4,500 military, with an additional 2,200 jobs due to move to Eglin under the 2005 BRAC. On the base the population was spread out with 43.5% under the age of 18, 15.2% from 18 to 24, 39.6% from 25 to 44, 1.6% from 45 to 64, and 0.1% who are 65 years of age or older. The median age was 22 years. For every 100 females, there were 100.6 males. On 6 October 1997, the McKinley Climatic Laboratory was added to the U.S. National Register of Historic Places. Author Hunter S Thompson was stationed on Eglin from 1956 until 1958 during his enlistment with the Air Force. Infielder Jay Bell was born in the base hospital in 1965. Movies that have been filmed in part at Eglin Air Force Base or its outlying auxiliary airfields, Thirty Seconds Over Tokyo in 1944, Twelve O' Clock High in 1949, On the Threshold of Space in 1955 and Search for Paradise in 1956. Thirteen airmen assigned to the 48th Recovery Squadron played a part in the James Bond movie Thunderball. The airmen, all highly skilled paratroopers, assisted in a sky diving scene filmed in Miami Beach. They jumped out of an HC-97 in Biscayne Bay at an altitude of 1,500 feet. A quote from TSgt Lewis Roberts said, "We played the good guys and were helping James Bond destroy the villians who were about to blow up the East Coast." Eglin AFB appears as the default airport in the simulation software Prepar3D. ^ "Eglin missions remain, but under new names". Eglin Air Force Base. Archived from the original on 5 February 2016. Retrieved 2016-02-05. ^ "96th Test Wing Fact Sheet". Eglin Air Force Base. 96th Test Wing Public Affairs Office. March 2012. Archived from the original on 5 February 2016. Retrieved 2016-02-04. ^ "Organization Facilities". Airman the Book. United States Air Force. L (1). Winter 2006. Archived from the original on 20 March 2006. ^ Franks, Staff Sgt. Bryan, 33d Fighter Wing Public Affairs, "First of the F-15C Eagles fly away", The Eglin Dispatch, Northwest Florida Daily News, Fort Walton Beach, Florida, 11 June 2008, Vol. 2, No. 28, p. 2. ^ First F-35 arrives at Eglin Air Force Base | eglin, first, afb – Northwest Florida Daily News Archived 16 October 2015 at the Wayback Machine. Nwfdailynews.com (2011-07-14). Retrieved on 2011-10-31. ^ Hutchinson, Leonard Patrick, "History of the Playground Area of Northwest Florida", Great Outdoors Publishing Co., St. Petersburg, Florida, 1st ed., 1961, no Library of Congress card number, no ISBN, p. 84. ^ Special, "From Dayton, Ohio – Munitions Lab Is Transferred to Eglin AFAC", Playground News, Fort Walton Beach, Florida, 15 December 1955, Vol. 9, No. 97, p. 1. ^ Mueller, Robert, "Air Force Bases Vol. 1: Active Air Force Bases Within the United States of America on 17 September 1982", United States Air Force Historical Research Center, Office of Air Force History, Washington, D.C., 1989, ISBN 0-912799-53-6, p. 136. ^ a b Eglin Air Force Base – Fact Sheet (Printable) : HISTORY OF THE 53RD WING Archived 17 July 2011 at the Wayback Machine. Eglin.af.mil. Retrieved on 2011-10-31. ^ Braxton, Sheila, "Refugees Arrive; 514 Due in Today", Playground Daily News, Fort Walton Beach, Florida, Monday 5 May 1975, Volume 30, Number 75, page 1A. ^ Moore, Mona, "25 years of Hope: Village's annual luau will honor Col. Bob Gates, pilot for comedian Bob Hope", Northwest Florida Daily News, Fort Walton Beach, Florida, 29 May 2010. ^ Wenzel, Tracy, Daily News Staff Writer, "Eglin host unit is reorganized", Northwest Florida Daily News, Fort Walton Beach, Florida, 1 July 1992, Vol. 47, No. 146, p. 1B. ^ Factsheets : Historical Eglin events in August Archived 17 July 2011 at the Wayback Machine. Eglin.af.mil. Retrieved on 2011-10-31. ^ . AviationArchaeology.com. Retrieved on 2016-11-26. ^ Crestview, Florida, "Navy Will Start Using Field 1 at Eglin AFB Soon", The Okaloosa News-Journal, Thursday 11 February 1960, Volume 46, Number 6, page B-4. ^ Crestview, Florida, "Area Loses Proposed Projects – Rocket Facility East And Navy Auxiliary Jet Field West Cancelled", The Okaloosa News-Journal, Thursday 18 February 1960, Volume 46, Number 7, page A-1. ^ a b c USAAF/USAF Accidents for Florida Archived 7 October 2014 at the Wayback Machine. Accident-Report.com. Retrieved on 2011-10-31. ^ January 1942 USAAF Accident Reports. Aviationarchaeology.com. Retrieved on 2011-10-31. ^ a b c Factsheets : Eglin Air Force Base History Archived 27 December 2010 at the Wayback Machine. Eglin.af.mil. Retrieved on 2011-10-31. ^ a b USAAF/USAF Accidents for Florida. Accident-Report.com. Retrieved on 2011-10-31. ^ NASA.gov. Researchernews.larc.nasa.gov. Retrieved on 2011-10-31. ^ Crestview, Florida, "Two Eglin Field Flyers Die in Crash Wednesday", Okaloosa News-Journal, 6 March 1942, Vol. 28, No. 7, p. 1. ^ USAAF/USAF Accidents for Florida. Accident-Report.com. Retrieved on 2011-10-31. ^ a b Angell, p. 105. ^ Master Sgt. Russell P. Petcoff (29 July 2010). "Eglin chosen as preferred alternative F-35 base". Eglin.af.mil. Archived from the original on 17 August 2010. Retrieved 2010-09-16. ^ "Crew Is Shooting Cinerama Movie At Eglin APGC," Playground News, Fort Walton Beach, Florida, 25 Oct 1956, p. 1. ^ "Thirteen Eglin Airmen Featured in Bond Movie," Playground Daily News, Fort Walton Beach, Florida, 21 July 1965, p. 3. ^ "Local crew called on to defend 'Air Force One|(film),'" Northwest Florida Daily News, Fort Walton Beach, Florida, 13 July 1997, p. 1B. ^ Tech. Sgt. Mark Kinkade (August 2004). "Eglin's Other World". Airman Magazine of America's Airforce. Archived from the original on 19 March 2006. Retrieved 2 February 2009. ^ Mary Byrd Davis (23 January 2008). "Old Growth in the East: A Survey. 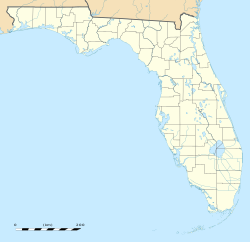 Florida" (PDF). Archived from the original (PDF) on 26 February 2009. ^ "Eglin". Encyclopedia Astronautica. Mark Wade. ^ Eglin. Astronautix.com. Retrieved on 2011-10-31. This article incorporates public domain material from the United States Government document "Eglin Air Force Base Tenant Joint Staff".